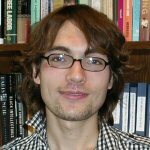 Felix Brenton is an undergraduate student of American Studies at the University of Sussex, England, with a particular interest in American society in the Twentieth century. He is currently attending the University of Washington, Seattle as an undergraduate exchange student for one year, further developing his interest in American history, culture and society. On completion of his degree in 2010 he is considering going into teaching.